I finished this project several weeks, but only getting around to posting it now. 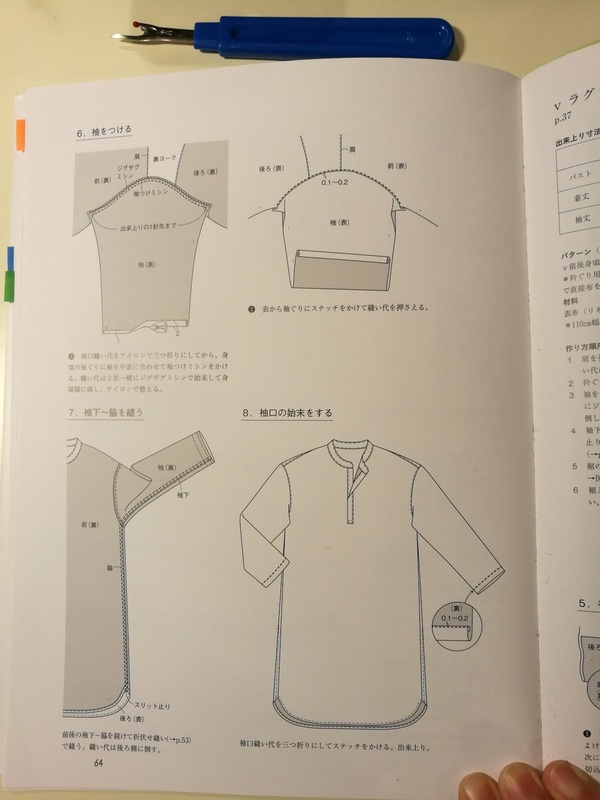 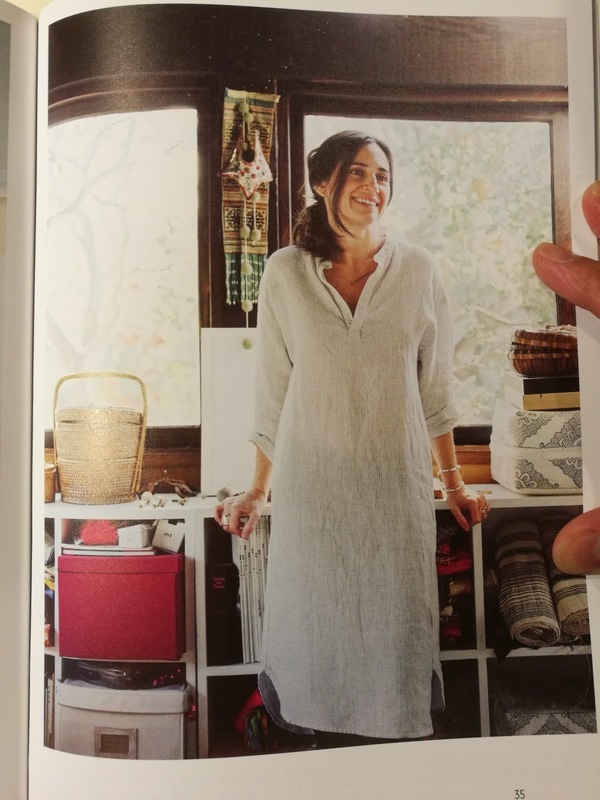 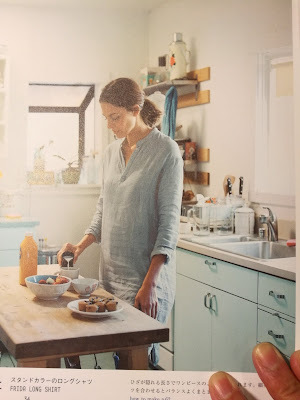 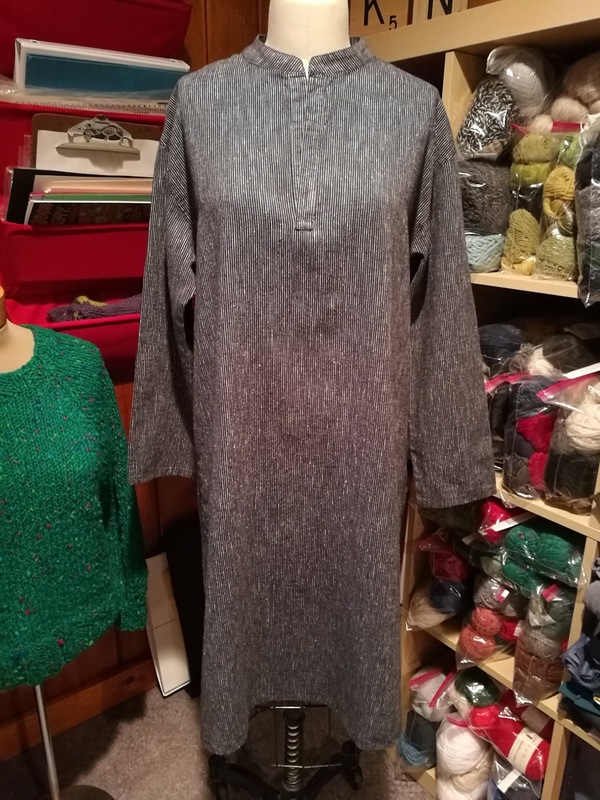 This long shirt/dress/tunic is another pattern from the Fog Linen Work Japanese pattern book. I love how this dress turned out and have already worn it several times. 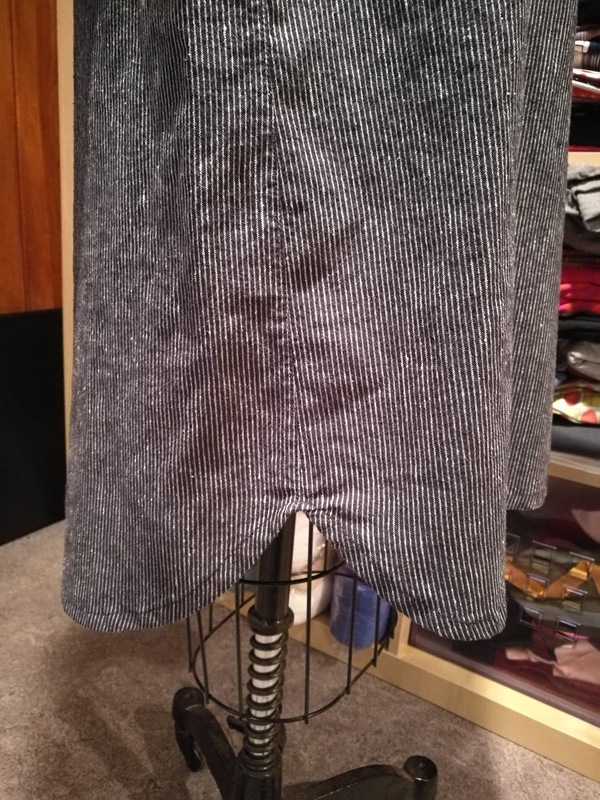 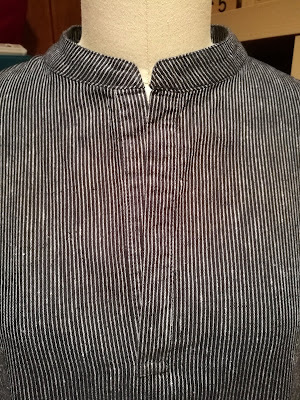 I chose a lightweight striped navy linen that I picked up on sale at Bolt and it was the perfect choice. 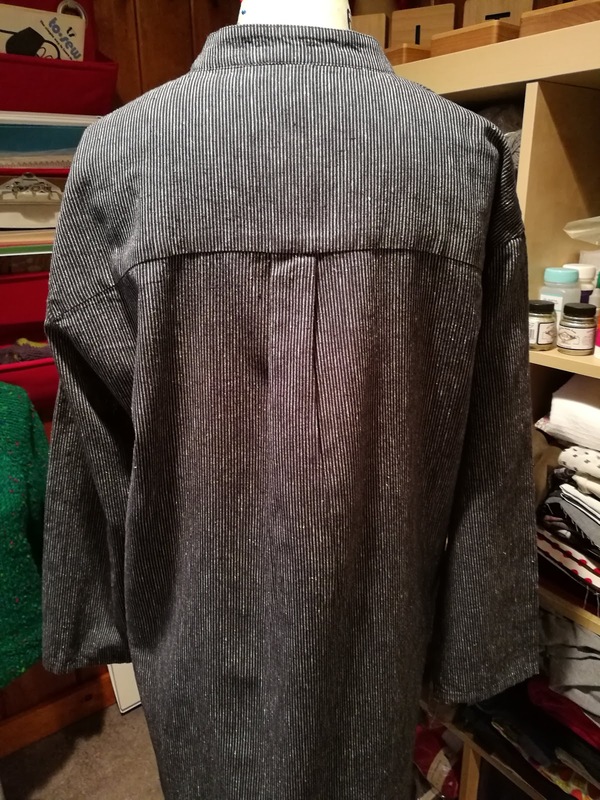 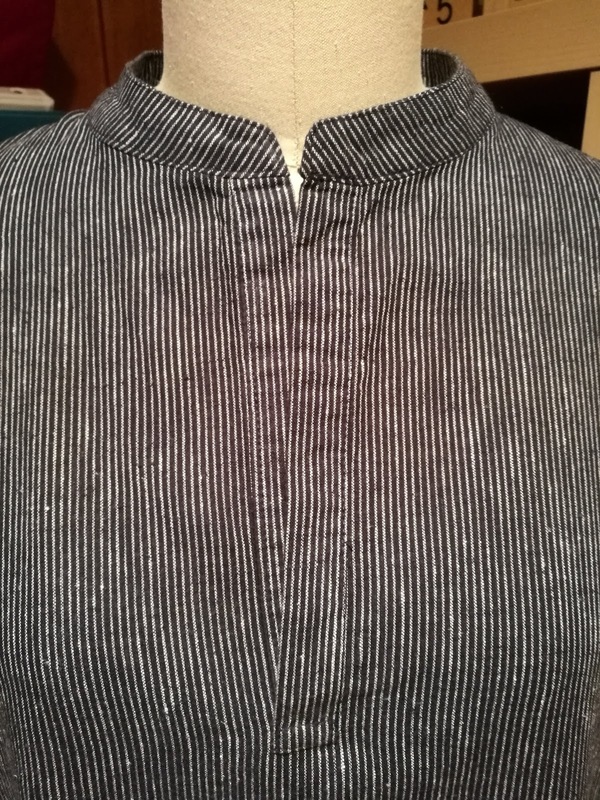 I thought I would have more trouble with the split neckline, but I worked slowly and carefully and only had to redo the reinforced stitching at the bottom once. I love the back pleat and the curved hem too. This dress will be perfect for warmer weather!